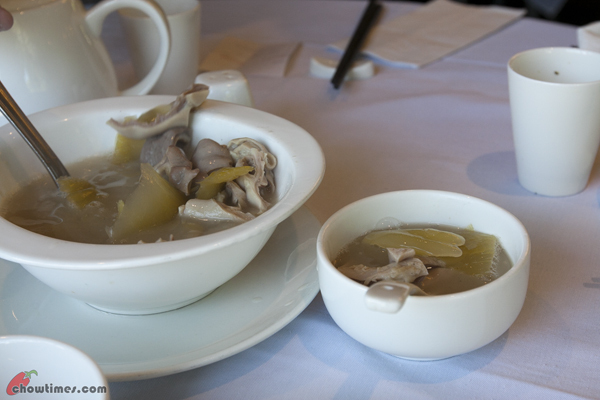 Polly and I met up on a Saturday morning for dim sum. 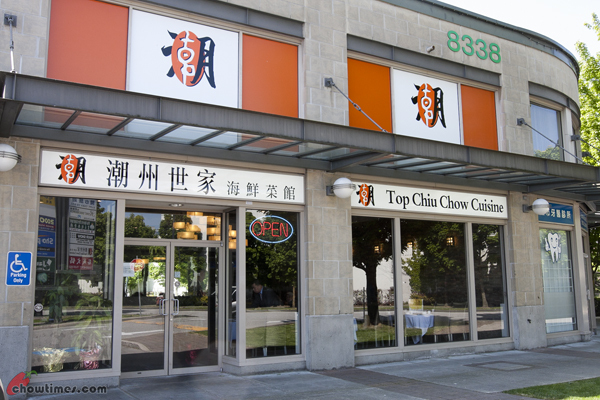 Polly recommended this fairly new Top Chiu Chow Cuisine on Capstan Way. Her family had been to this restaurant once and they all like it. We were there early, i.e. 10 am, just after they opened for business. This is because Polly has to go to work at noon. We were their first customers that day. 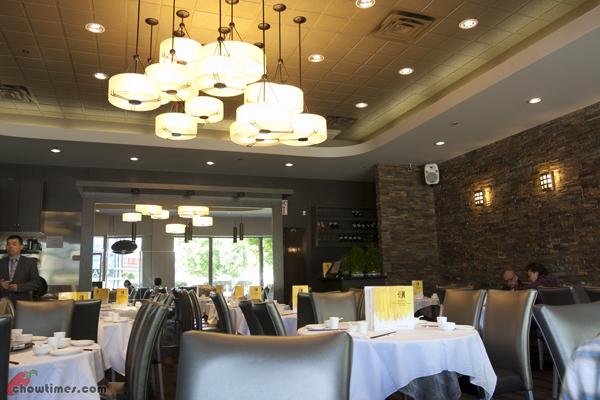 The decoration is pleasant and modern for a dim sum restaurant. This restaurant seats 72. 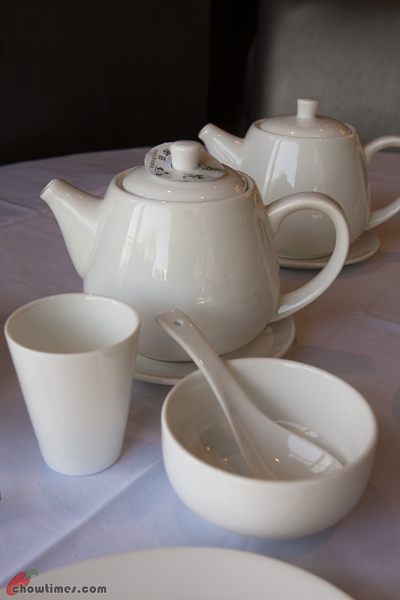 Even the tea cup and tea pot is not of tradition shape. They are more modern looking. 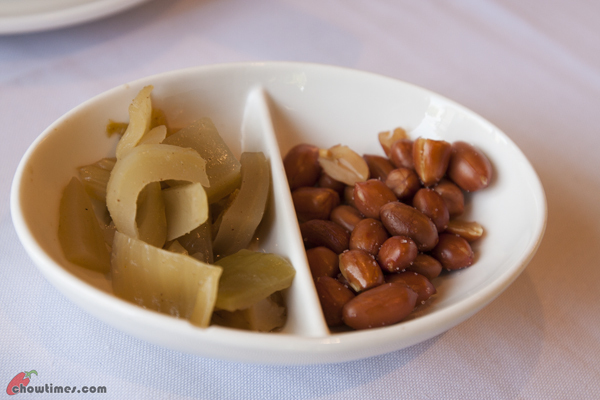 We were served complimentary fried peanuts and sour mustard for snacking before our orders arrive. We ordered a few items to share. 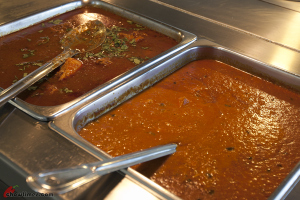 We like most of the items and we will be back to try other items. 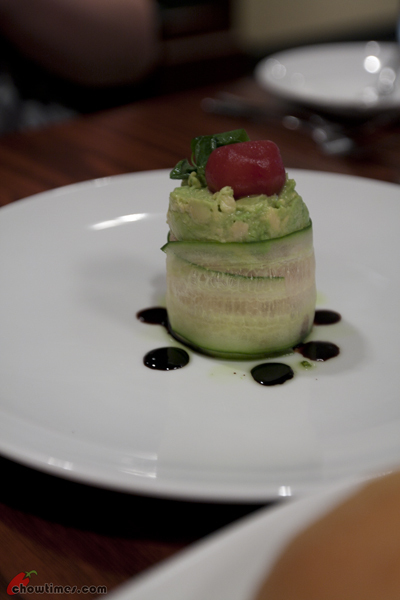 The captain who served us told us that the restaurant will launch 20 over new items in 2 weeks time. One obstacle here is the restaurant menu is in Chinese only. Fortunately Polly reads Chinese. 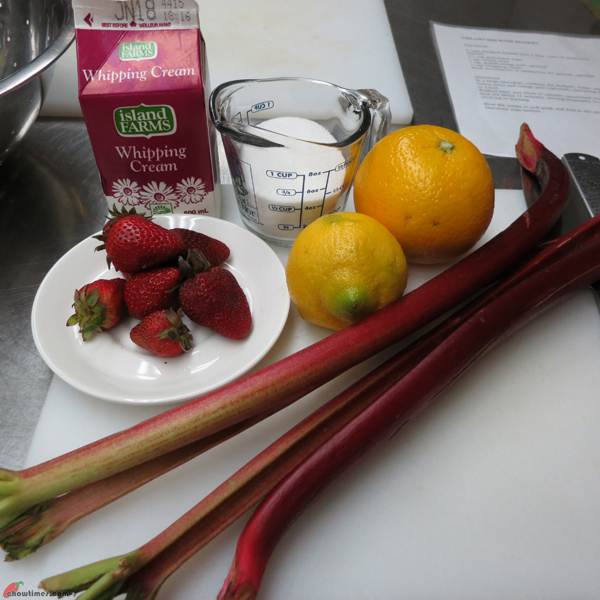 Minoo prepared a rhubarb dessert in the Gilmore Park Church Community Kitchen since rhubarb is in season in June. 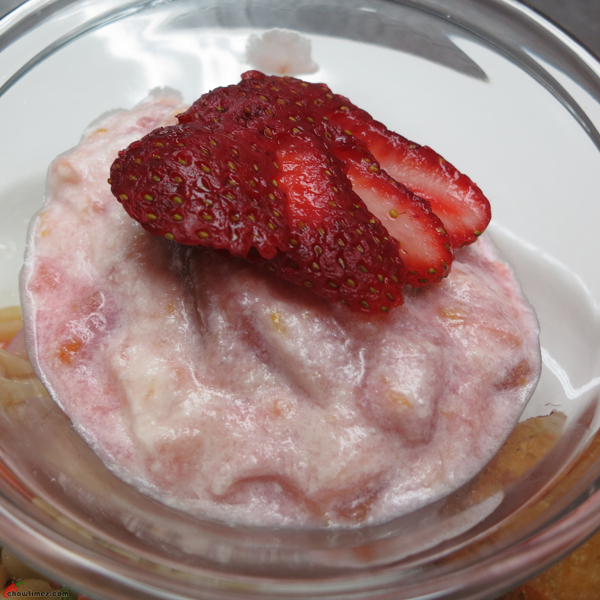 This rhubarb dessert is creamy and a little tangy. A refreshing dessert. 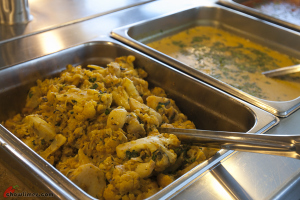 The main dish for the Gilmore Park Church Community Kitchen is a seafood dish. It’s a Crab Puff recipe from Martha Stewart. 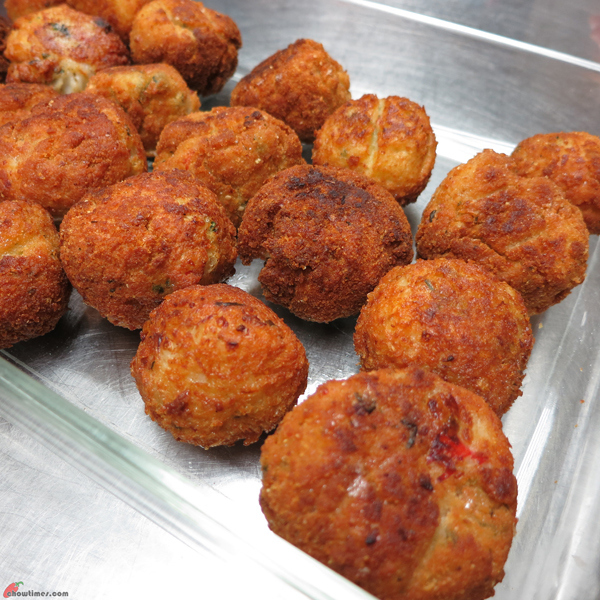 These Crab Puff will be a family favourite especially with kids. 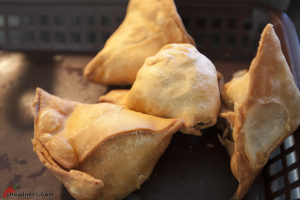 They are crunchy on the outside and creamy. I’m glad to be back at the Gilmore Park Church Community Kitchen since the schedule change. This kitchen clashes with the South Arm Seniors Kitchen. I can only make myself available to one. With the South Arm Seniors Kitchen done for the season, I can now attend this kitchen and meet the participants here that I have not seen for a while. Minoo prepared three recipes for this kitchen; i.e. 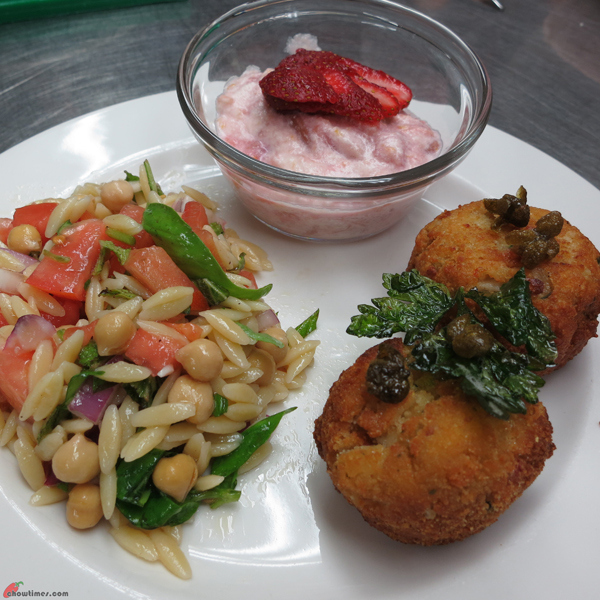 an Orzo Salad, Crab Puff and a Creamy Rhubarb Dessert. Rhubarb is in season in June. 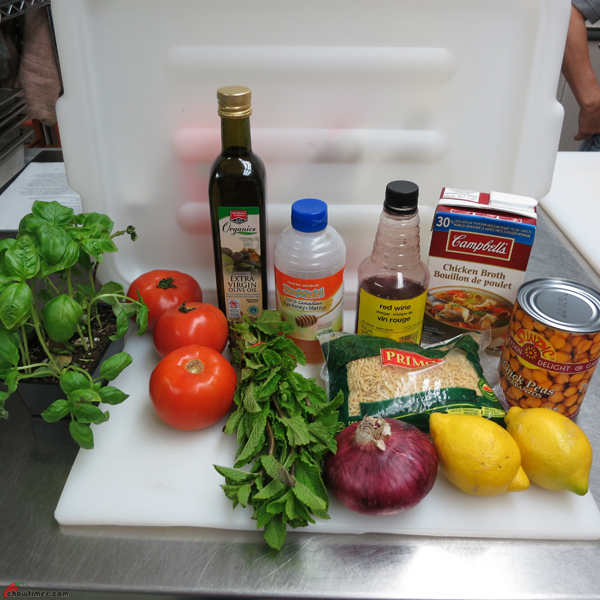 The first recipe is the Orzo Salad. Orzo is a pasta which resembles rice grain. 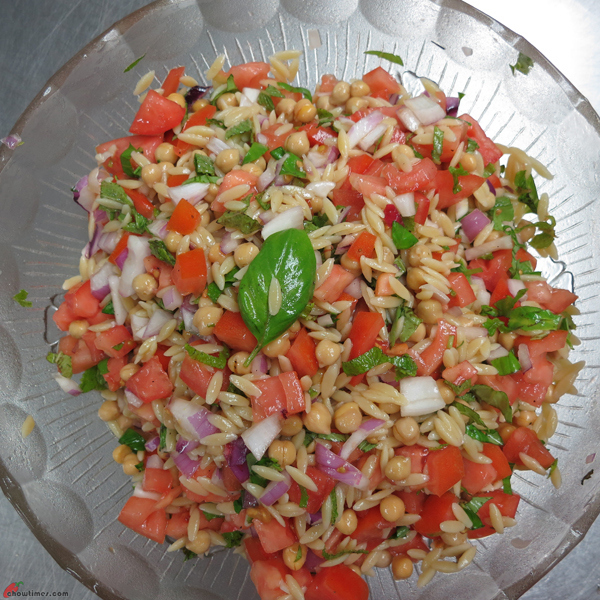 The Orzo Salad is refreshing and filing. 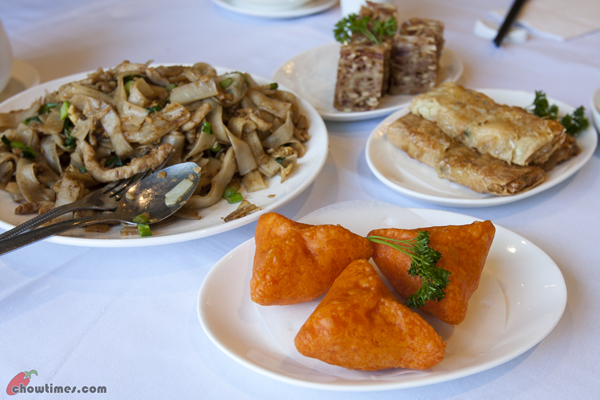 Great for a light lunch. 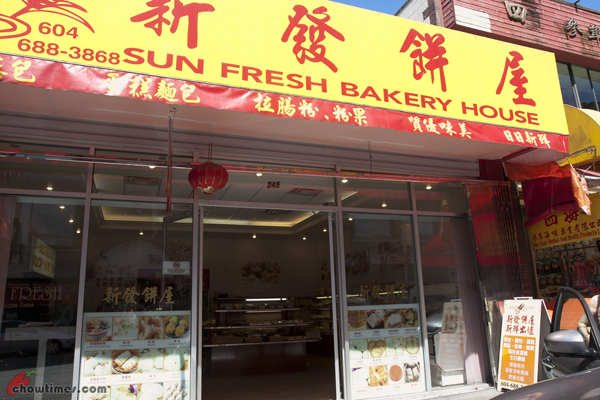 After lunch at JJ’s Restaurant, Marian recommended us to get some Chinese buns from Sun Fresh Bakery House in Chinatown. 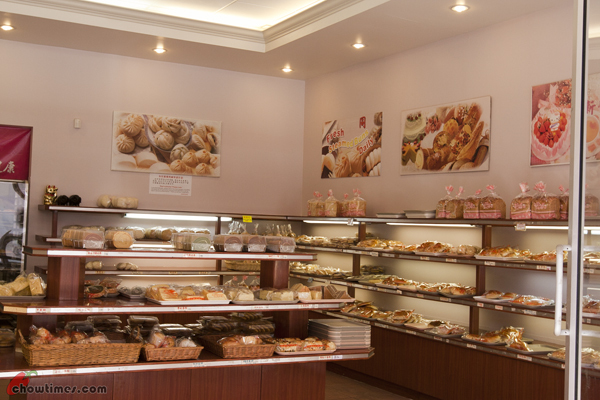 She was in Chinatown the week before and came across this bakery and she highly recommends the Mix Vegetable Chinese bun from this bakery. 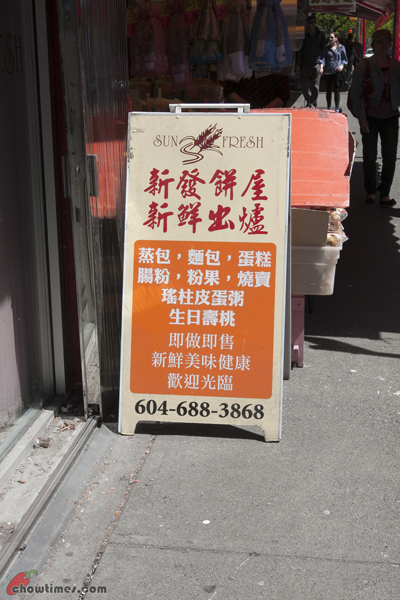 Sun Fresh Bakery House is located on Keefer St.
Sun Fresh Bakery House is a typical bakery which sells bread, bun, Chinese steamed bun, cake and Asian style pastry. 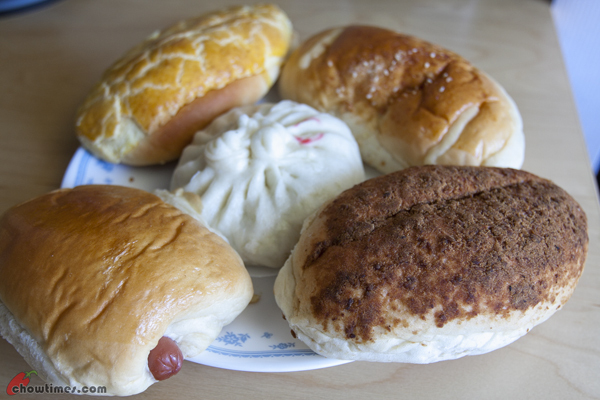 You can even get Chinese birthday bun in the shape of a plum and rice rolls here as the sign above indicates. Lorna, Marian, Michelle (Marian’s daughter) and I met up for lunch at JJ’s Restaurant (VCC). 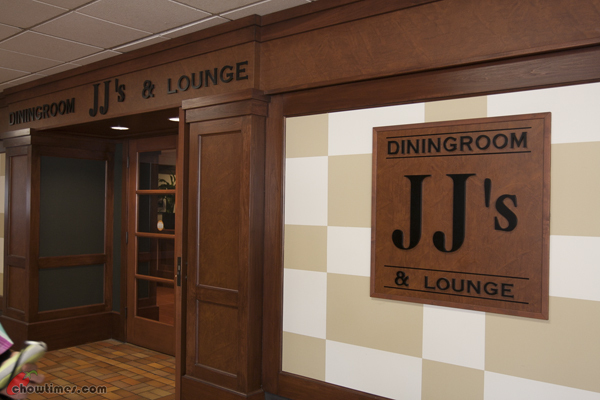 JJ;s Dining Room & Lounge is the practical ground for the Vancouver’s Culinary College. 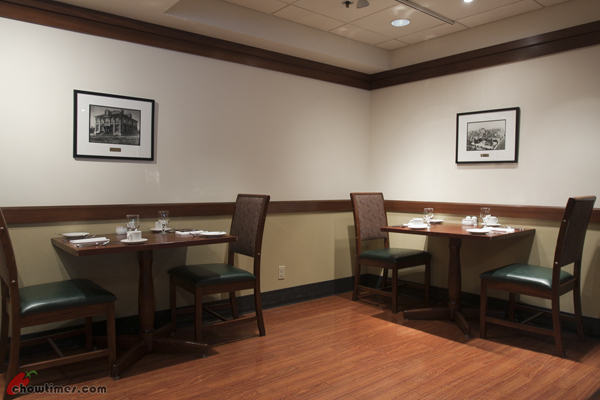 The restaurant is spacious and the decoration is simple but elegant. 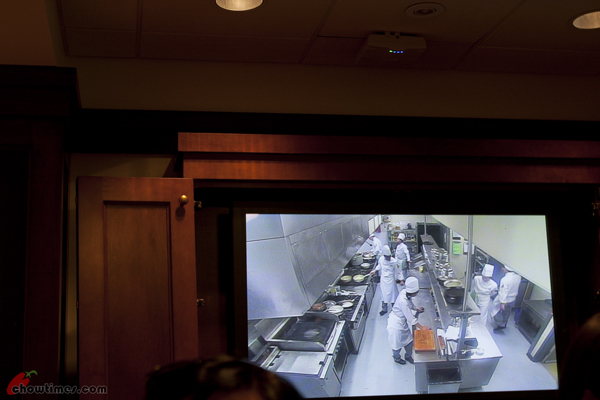 We were seated right in front of a wall TV which has online feed of the kitchen in action. 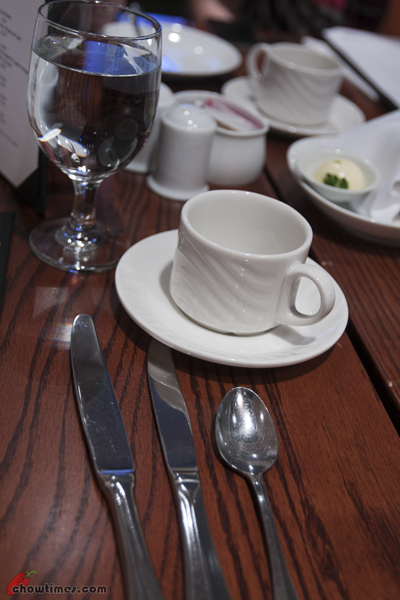 The table setting is of western style. 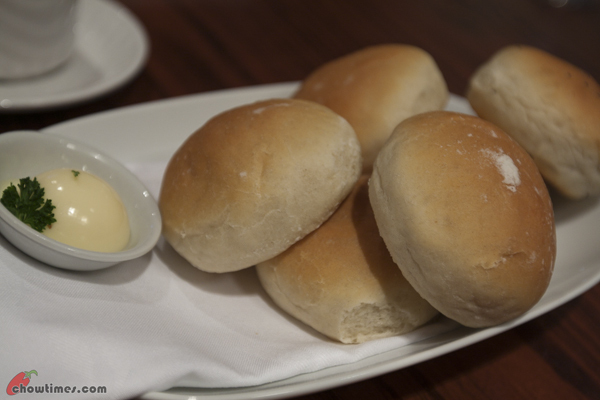 Complimentary warm bread and butter to start the meal. 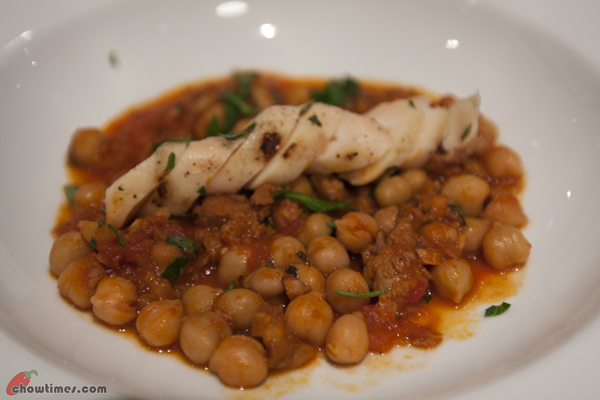 I had the Charred Vancouver Island octoput, chorizo and chick pea stew for appetizer. It is $4. We found that the octopus was a tad too chewy. The chorizo and chick pea stew was good though with a light spiciness in it. 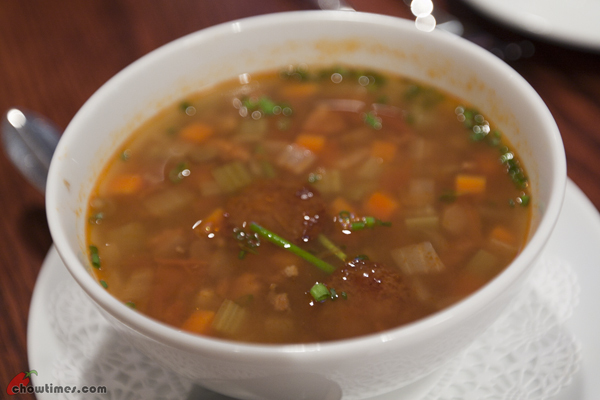 Marian had the soup of the day which was a lentil soup. It was quite bland. 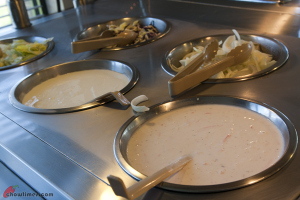 The soup is $2.50. Lorna ordered the Salmon, prawn and scallion cake topped with pea shoots for appetizer. It is $4. This was pretty good as the seafood cake was crunchy on the outside. 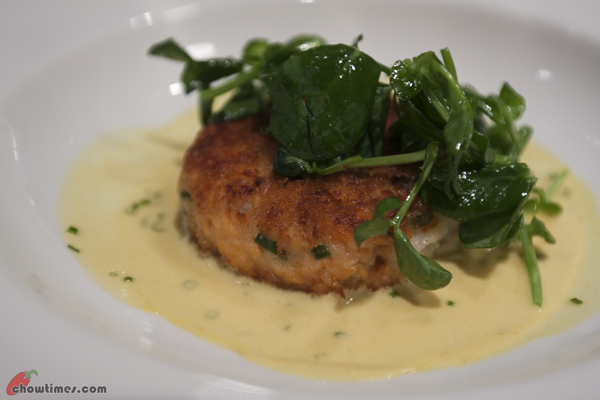 The Thai lemon grass sauce was slightly tangy and went well with the seafood cake. 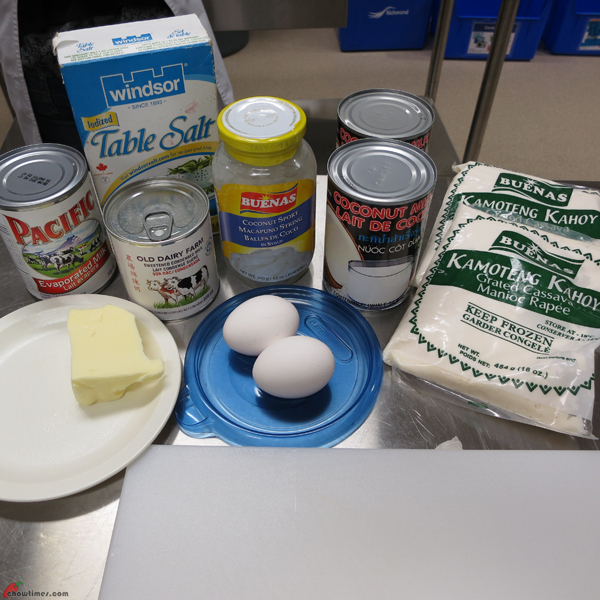 Minoo shared a Filipino Cassava Cake recipe for dessert at the South Arm Multicultural Community Kitchen. This is a sweet and sticky cake. Refrigerate the cake will make it a bit firmer. 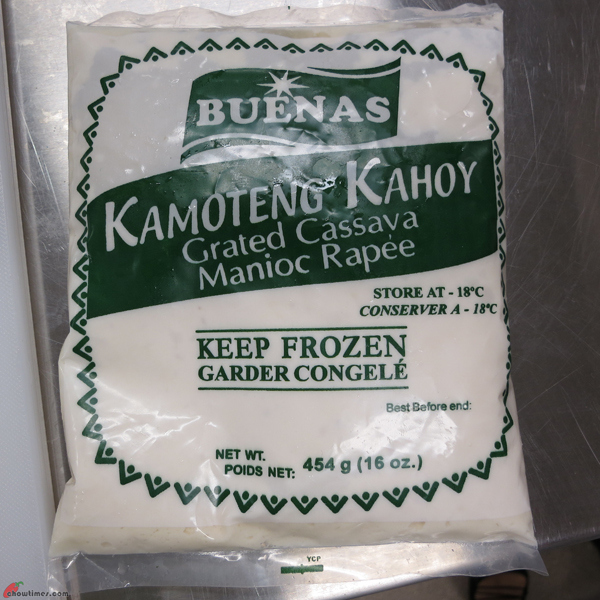 This recipe uses frozen grated cassava. 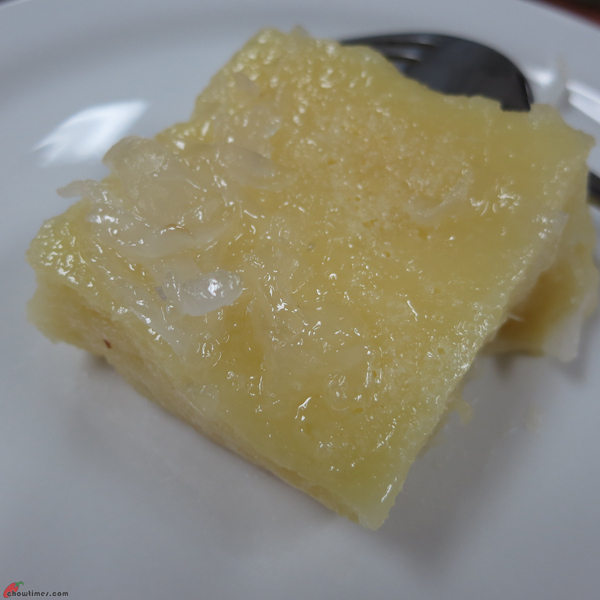 The grated cassava is from the root of a woody shrub. Cassava is a major source of carbohydrates. 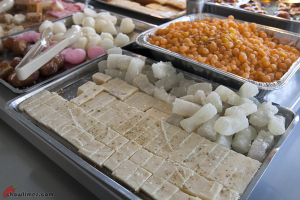 When dried to a starchy, powdery form, it is called tapioca. Coconut string is the flesh of young coconut. 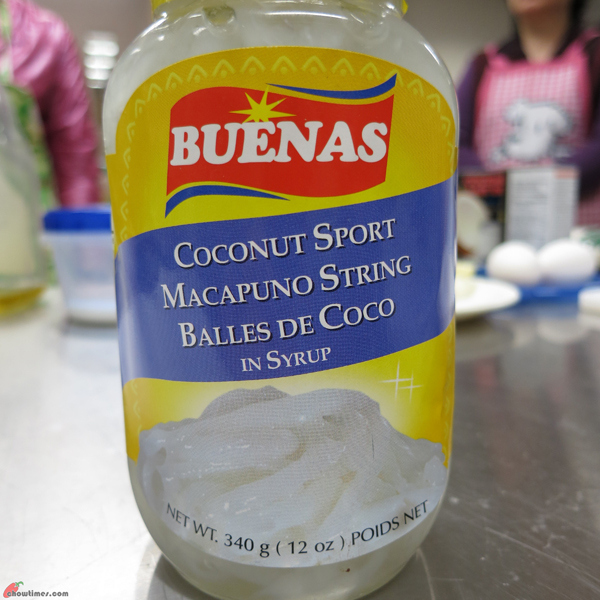 You can buy the above coconut string from stores that carry Filipino products like Great One Supermarket, 99 cent Dollar Store, Wah Shang Supermarket, etc. 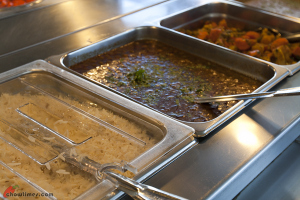 The second recipe made in the South Arm Multicultural Community Kitchen is a high fiber salad. 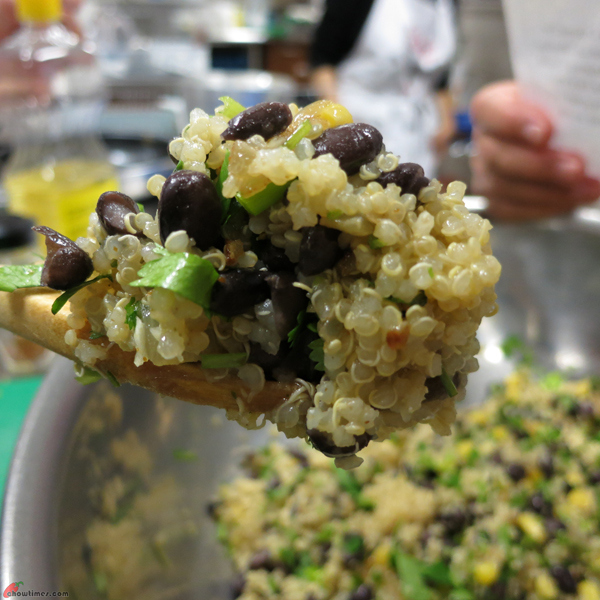 The Quinoa Black Beans Salad Spiced with Cumin is filing and nutritious. 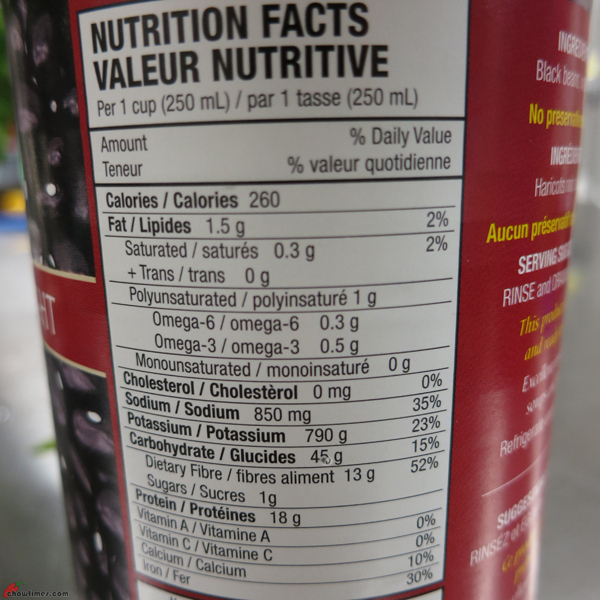 This salad is high in protein as 1 cup of black beans has 13g of dietary fiber. 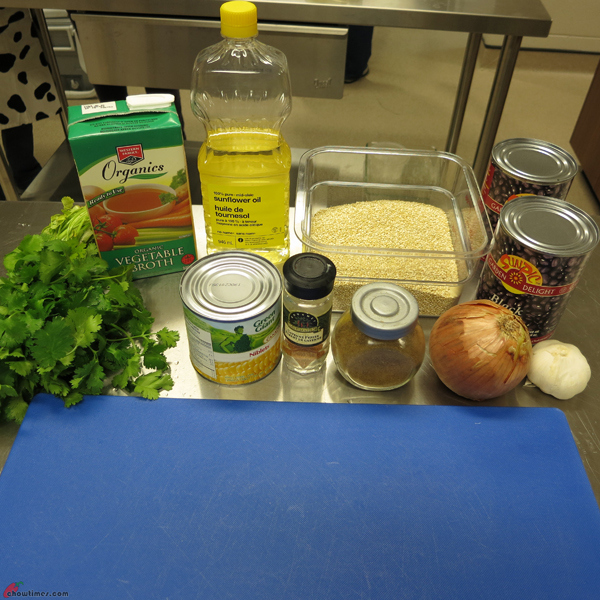 Minoo shared with us some facts and nutritional values of quinoa in the kitchen. I had blogged about it here. The South Arm Multicultural Community Kitchen met again in the South Arm kitchen for another sharing and learning session. Minoo briefed the group about the recipes she selected and talked about the nutritional values of the selected ingredients. 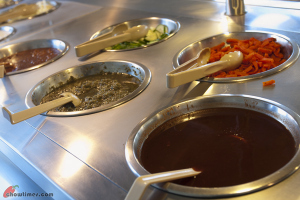 Minoo selected ingredients that are rich in iron like lentil and spinach and ingredients that are high in fiber for this kitchen. 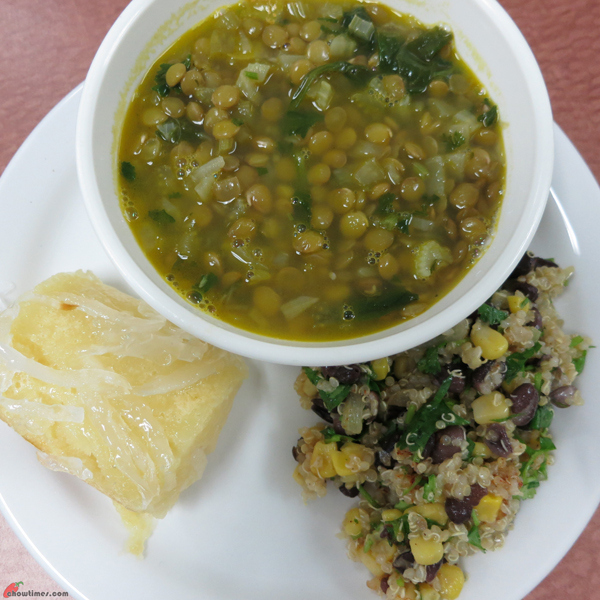 This week’s menu included a lentil soup, a quinoa salad and a dessert made with cassava. 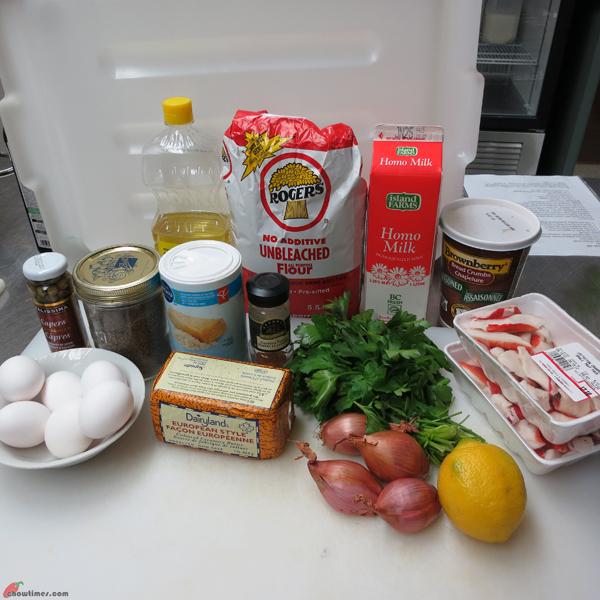 The first recipe is a Lemon Lentil Spinach Soup from Mint Green Apron by Michelle Li. Michelle Li is the facilitator of the South Arm Seniors Kitchen. 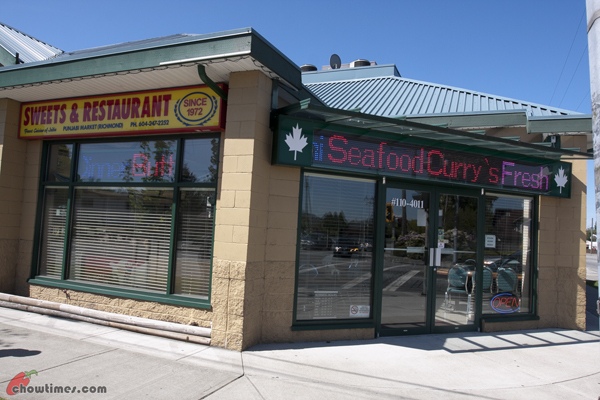 Arkensen and Nanzaro wanted Indian food on a weekend dine out. Arkensen even volunteered to drive us to the restaurant. 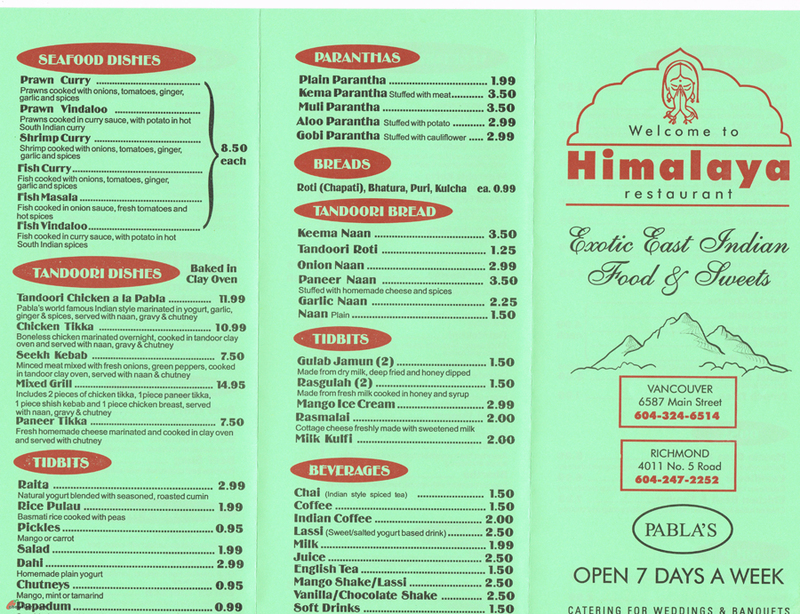 We went to Himalaya Restaurant at No. 5 Road and Cambie. We came for the All You Can Eat Buffet which is $12 per person. 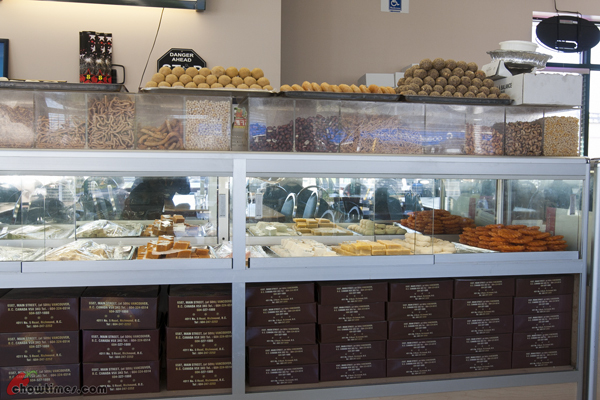 Himalaya Restaurant also sells a wide range of Indian sweets. This restaurant seats about 70. 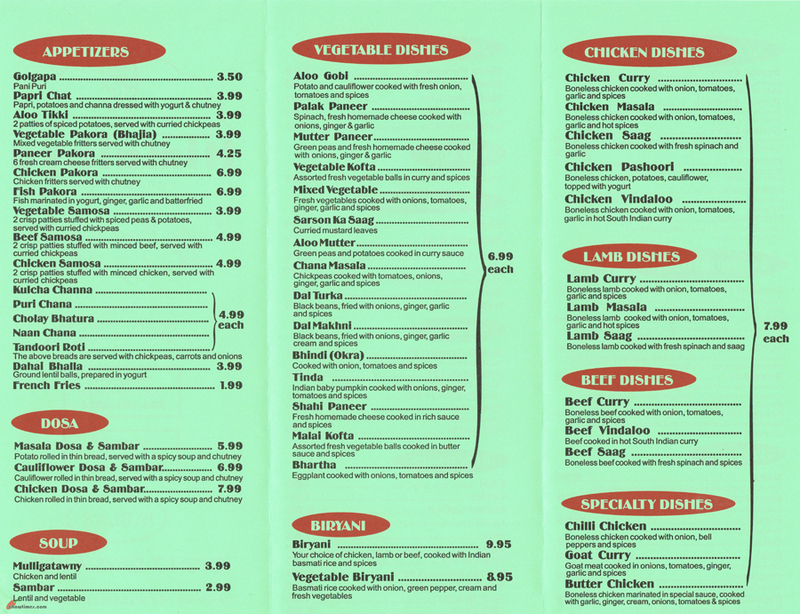 If all you can eat is not your forte, you can order from the menu too. You can click on the menu to have a larger view. 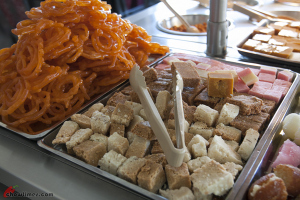 I have never seen so much Indian sweets being offered on the buffet tables before. 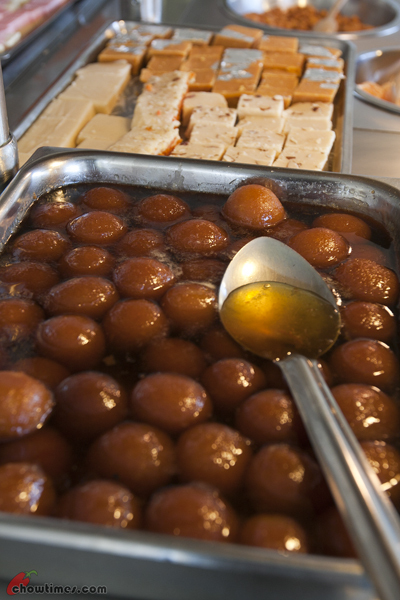 Gulap Jamun is the most common Indian sweets offered in most All You Can Eat Indian buffet.